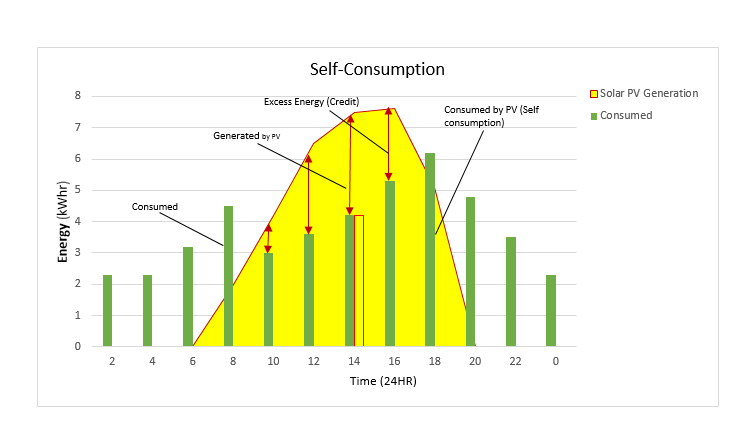 Self-Consumption or Natural Consumption is a situation where the consumers decides to use Solar PV panel to generate their required energy for their own usage. The idea is to be self-sustainable without depending or only party depending on TNB grid power supply. Calculations has proven that over a period of time savings from electricity bill will result in huge savings thus complements to productivity and profits. Chances are you pay a cumbersome amount of money for your electricity consumption and like many commercial customers, you are most likely ignorant of the costs breakdown and what you can do to avoid paying more than what you are charged for. For a start, you need to know that a sizable amount of your electricity bill pays for your “commercial electricity demand charges”. What is this are why is it added to your bill? As it is, there are ways to reduce this demand charges and that you only pay for actual electricity usage and not that you might use. Firstly, you need to know what demand charges are and how it is charged in your bill. As a commercial customer, you most likely pay for two types of charges on your monthly utility bill. THE FIRST OF THESE is your energy charge, which is calculated by multiplying your total energy use for the month (measured in kilowatts-hours) by your energy rate. THE OTHER CHARGE you’ll see on your monthly bill is known as a demand charge and is typically calculated by looking at the greatest amount of power (measured in kilowatts) you need during any of thousands of “demand intervals” that make up a billing cycle. This reported peak-kilowatt level is then multiplied by a specific rate, which determines your demand charges. For example, if your utility charges $10 per kilowatt (kW) per month, and your peak-demand interval power requirement is 100 kW within a month, you’ll pay $1,000 in demand charges that month ($10 x 100 kW). This is on top of your energy charge.